‘Boom for Real’, the first major UK retrospective of the work of Jean-Michel Basquiat, reveals how thrilling and relevant his art remains, almost 30 years after his death. The Martin Parr Foundation is based in Bristol and will host a gallery, largely focused on the work of British documentary photographers, as well as a library and archive centre for Parr’s work and collection. 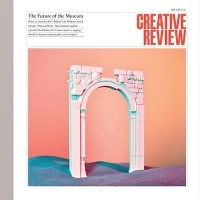 Our July issue is a museums special, taking a look at the challenges facing cultural institutions and how creativity is helping to meet them.